Dr. Richards started an organization called Shreveport Sees Russia in 2010 after trip to Moscow at the request of a Russian pediatric ophthalmologist in 2008. 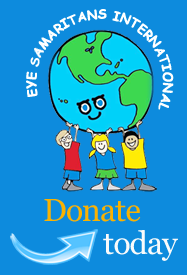 Eye Samaritans International was formed in 2012 to combat the epidemic of ROP blindness in Eastern Europe, the Black Sea countries and the Russian Federation. Through physician and medical training plus equipment and resources, Dr. Richards seeks to help Eye Samaritans International reach an area of the world with half of their infants blind from retinopathy of prematurity. Dr. Richards practices pediatric ophthalmology in Shreveport with his partner John D. Hinrichsen MD, who both treat a wide variety of difficult pediatric eye problems at their practice Eye Docs For Kids. 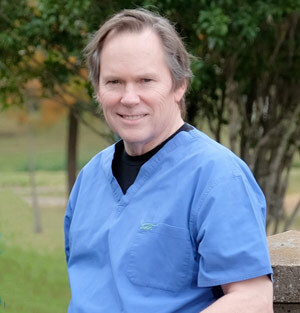 Dr. Richards also teaches ophthalmology residents at Louisiana State University Health Sciences Center in Shreveport, LA USA where he has served as Clinical Assistant Professor for over 30 years. Throughout his career, Dr. Richards has delivered many high-profile presentations, published a number of articles in medical journals, devoted countless hours with ophthalmologists and given his time and talent to the underserved community. Ms. Jones oversees the administration, accounting, equipment purchases, marketing, public relations and coordinates outside consultants to implement the plans and goals of Eye Samaritans International. 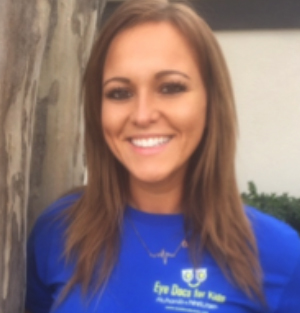 Ms. Jones also acts as administrator and office manager for Eye Docs For Kids to help Drs. Richards, Hinrichsen and Coburn to provide quality eye care to the children of the Ark-La-Tex. She has served in this capacity since 1995 and is a vital member of Eye Samaritans International. Ms. Richards brings to Eye Samaritans International a background in advertising and public relations with experience in fundraising and service organizations. She coordinates public relations, marketing and grant writing for ESI and assists with marketing for Eye Docs For Kids. 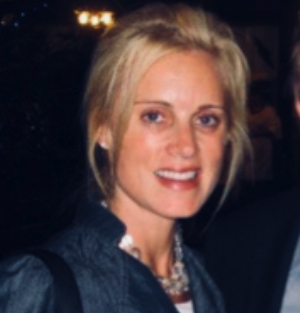 As the wife of Dr. Richards, she traveled with him in 2012 to make the first American outreach to pediatric ophthalmologists in Kiev and Odessa, Ukraine. Mrs. Richards also develops presentations for his professional and LSUHSC lectures. Ms. Vick oversees the procurement of all equipment to be sent to Eastern Europe, including Ukraine, Romania, Moldova as well as Armenia and Russia. 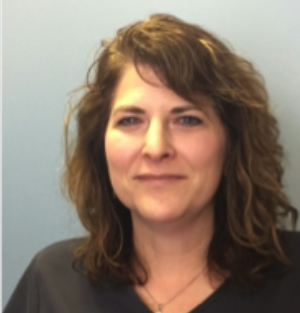 When equipment malfunctions, she obtains the parts needed to assure proper functioning of the equipment which is vital to the prevention and treatment of retinopathy of prematurity, Ms. Vick understands which equipment is needed for each ESI target areas. 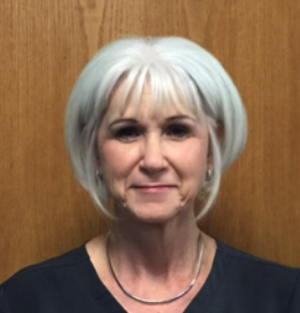 She has been with Eye Docs For Kids since 1998. Ms. Risinger is the newest addition to the Eye Samaritans staff. 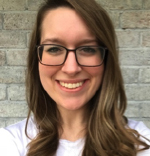 She is and affable and skilled assistant at Eye Docs For Kids and worked for many years for an esteemed optometrist in East Texas. Extremely proficient at computer technology, Ms. Risinger handles the frequent business and administrative tasks needed to help Eye Samaritans International flow smoothly. She will be an integral part of using the Lavelle Funds to reduce infant blindness from ROP in Ukraine and Armenia. Until she stepped down to help manage her family business, Ms. Craft assisted with fundraising, accounting and administering the training and equipment delivery for Eye Samaritans International. In 2016 Ms. Craft oversaw the delivery of an indirect laser to Dr. Cristina Nitelescu that is now being used to treat ROP in Bucharest, Romania. Her data collection, analysis and technology skills were necessary for every outreach advancement of Eye Samaritans International. Dr. Hinrichsen is a pediatric ophthalmologist and partner to Dr. Richards at their practice, Eye Docs For Kids, where he has worked to treat a variety of ocular problems in children since 2004. An extremely experienced laser surgeon for difficult cases of retinopathy of prematurity, Dr. Hinrichsen advises Dr. Richards on any decisions regarding indirect lasers and skills training when planning conferences and purchasing equipment for countries. 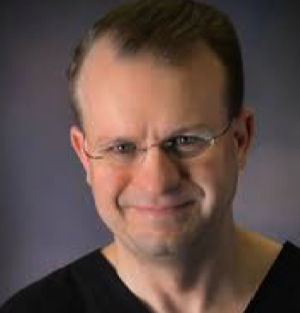 Receiving his fellowship from Indiana University School of Medicine, Dr. Hinrichsen performs a wide array of pediatric procedures including infantile glaucoma, infantile cataracts and retinopathy of prematurity.